Meredith Bodgas has built her career on walking women through every major life stage and milestone. 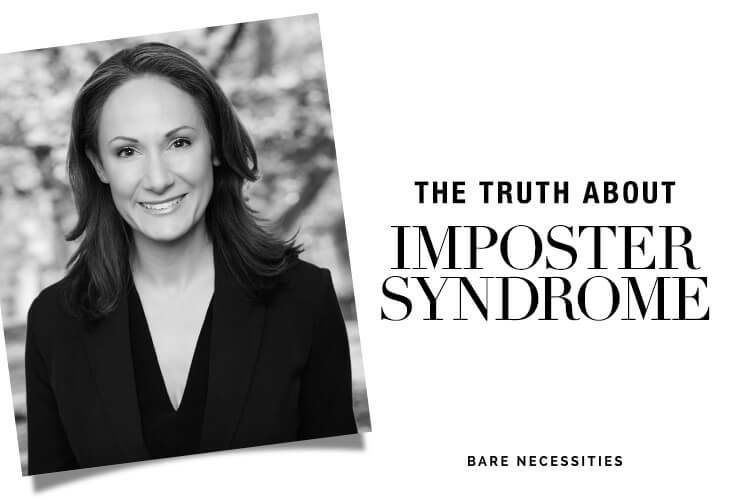 She’s been an editor at some of the most prestigious websites and magazines like The Knot, Glamour.com, WhattoExpect.com, Babytalk, WomansDay.com, Parenting and Ladies’ Home Journal to name but a few off her resume. 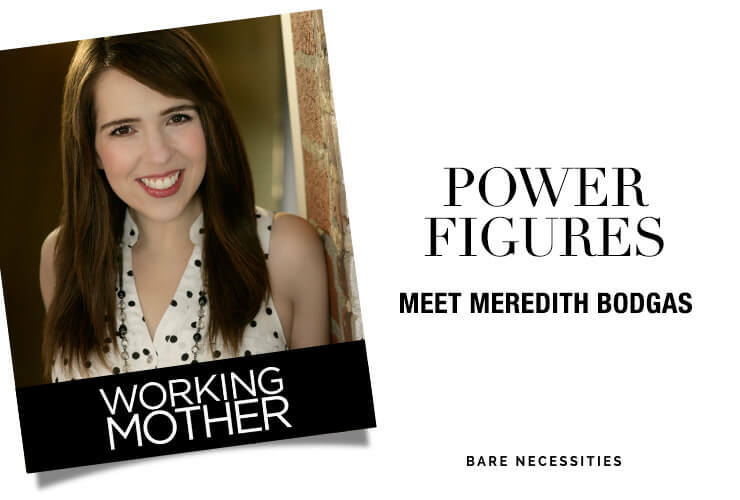 As a married mom of two, Meredith’s job and life goals aligned in real time when she became editor-in-chief of Working Mother. She’s as real as can be with readers, opening up about touchy subjects like ‘working mom purgatory’ (“When you’re too tired to function, not tired enough to use a precious sick day“) and “When you leave your child crying and feel like a crappy mom for working” and tackling them head-on from a totally personal yet universal point-of-view. When it comes to advocacy, Meredith takes her platform seriously. She’s made it a priority to show way more diversity among the mothers she profiles and, when she realized Working Mother‘s leave policy didn’t hold a candle to some of the companies they were applauding in print, she prepped a presentation for the company’s leadership and negotiated a better deal for her colleagues…all while out on maternity leave. 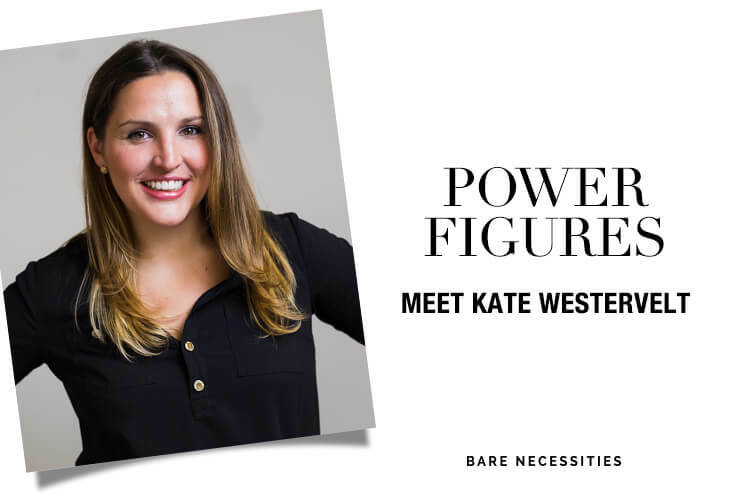 True to form, and right in time for American Business Women’s Day, this Power Figure found an hour in the middle of the night while nursing her son to one-handedly tap out her replies to Bare Necessities. Q: How did you get into journalism? A: I’m a native New Yorker who has always loved writing. When I was in high school, the now-defunct Teen People gave college scholarships to public school students in each of New York City’s boroughs. I won for my hometown of Staten Island. Following my freshman year at Brandeis University, I was offered an internship there and fell hard for magazines. I interned at a different publication every summer I was home from college and got my first full-time gig a few months after graduating. Q: How did you get to where you are now? What’s it like to be The Boss with the final say at the end of the day? A: I changed jobs about every year in the first five years. Usually, it was my choice! Even after that, I’d look for signs that there was no more growth or learning and seek other opportunities. When I hung up with the HR rep who offered me the editor-in-chief job, I cried and danced around my house. Even though we’re not the biggest magazine around, this is a brand with which I’m obsessed, and to get to lead the magazine and website is an honor I don’t take for granted. I’ve learned that everyone has a boss. I report to a president who reports to a CEO who reports to a chairperson. I’m learning more about the business side. And for everything I write—my editor’s letter, cover story celebrity interviews—I ask my talented deputy editor to edit me. Everyone needs an editor! Q: What is your mission at Working Mother? What drives you? A: To change culture. I applied for my job the night Donald Trump won the election while working somewhere that brought joy to older women’s lives through dog videos and heartwarming stories. That’s lovely, but it was time for life-changing. The work we’ve done at Working Mother has gotten organizations to rethink policies that directly impact their parent employees. We’ve given women in unfair situations the tools they need to get the pay they deserve. We’ve shown moms what they stand to lose by leaving the workforce, and how to get back in. That’s what makes me excited to go to my job every day (or at least on days my kids have allowed me to get some sleep). I’m also motivated by the naysayers I’ve encountered throughout my life. A high school English teacher allegedly encouraged my parents to discourage me from being a writer. So, uh, bite me, Mr. Warren. Q: What about the subject resonates with you so deeply? A: I’m a working mom, my mother was a working mom and my grandmothers were working moms. It gets easier each generation, but it’s still not easy. I’ve faced judgment for sending my kids to daycare, keeping my last name after I got married and even switching jobs as often as I did. I know I’m not alone, and I want the millions of working moms out there to know our choices are legitimate—and for those who have no choice but to work, to get the ideas and support they need to make this dance more manageable. Q: What’s changing for working mothers? How does being a mother inform how you work? A: Technology is changing working moms’ lives for better and worse. It means that we can get our jobs done from wherever we are. While I miss reading chick lit on my commute, as I did before having children, I love that I can answer emails, look for story ideas and write and edit articles from the train, which helps me leave on time. But it also means that I’m theoretically reachable 24/7. On vacation, I get multiple emails that start with “I’m sorry to bother you, but…” and I don’t feel I can ignore those. Being a mom makes me so much more efficient and a better prioritizer. I have kids to whom I want to get home, so I make sure I focus my time at work on what’s most important on any given day and delegate or skip what I’m not best at or obligated to address. And whenever I struggle with an issue, be it postpartum depression, a biting toddler or a baby with separation anxiety, I write about it to remind other moms in my situations that they’re not alone. Q: How do you juggle competing priorities? Is there such a thing as work-life balance or having it all? A: I’m very honest about not being close to perfect, that something has to drop for my work, marriage and children to be well. So my house is usually a mess and most of our meals are microwaveable. And even with my job, my husband and my kids, they’re not equal priorities every day. Whatever needs my attention most, like a sick son, a stressed spouse or a major deadline, is my priority at that moment. I don’t think work and life are ever 50/50 but I feel satisfied with both overall, so I don’t think one is overwhelming the other. Q: How do you de-stress? A: I sing, much to my 4-year-old’s chagrin. Or if the kids are relatively quiet, I’ll call my mom. Just her voice reminds me everything is going to be okay. I also like to do pointless creative activities, like think of ridiculous band names, which my sister and I have been texting to each other for years now. Q: What’s a typical day like? A: I wake up whenever my baby does, anytime between 5 and 6:30 AM, feed him, get him ready and, depending how much my 4-year-old needs me, I get myself ready to varying degrees—I definitely don’t get to shower every morning. Then, my husband and I drop the kids at daycare and head to our jobs by train. I usually get in between 9 and 9:30. I try to work on workingmother.com in the morning and Working Mother magazine in the afternoon, but they often bleed into each other. And I pump three times a day and attend a couple hours’ worth of meetings and calls. I almost always leave at 5, meet my husband on the train and pick up our kids by 6:30. Then it’s a mad dash to get dinner on the table, the kids bathed—which also doesn’t happen every day—and in bed. Their sleep is unpredictable, so I try to go to bed by 9:30 to get close to enough rest. Q: What would you tell someone who wants to follow in your career footsteps? What do you wish you could tell all women making their way in the working world? A: There’s no one path to getting where you want to go, and a setback or two isn’t going to doom you. Don’t specialize in one narrow thing; specialize in a few so there are more opportunities to which to jump. And don’t be afraid to leave a job or use a better offer to get a raise at your current gig—it might be the only way to get more money—but you have to be prepared to walk away if they don’t try to keep you. For all women, don’t let anyone make you think you can’t achieve something, but don’t expect anyone to hand you what you want; you have to ask. Get constant, specific feedback from managers and other people you admire. Ask “What should I do to be considered for a promotion?” and when you do those things, follow up. Avoid looking at other women as competition. Figure out ways to build each other up. Q: What does empowerment mean to you? How about perfection? Support? A: Empowerment is endowing others—or yourself!—with the confidence and knowledge needed to do great things. Perfection is a unicorn flying backwards while doing the Macarena…it doesn’t exist. Happiness is more important than perfection, and happiness to me is good health, family snuggles, yummy food and having written something personal that resonates with women. Support is backing others up or filling in gaps so they can achieve. No mom can get where she wants to go without others watching her kids and reminding her that her feelings, experiences and parenting choices are valid and normal. Wardrobe staple: Knee-length, tummy-forgiving dresses. Best bra: Soft, molded T-shirt bras thick enough to prevent milk from leaking through my shirt. Greatest extravagance: Sleeping until 11 on weekends when my mom or mother-in-law is helping with our kids. Secret to living a great life: Spending time only with those you support and who support you. Biggest mistake: Accepting a job reporting to a workaholic. Personal hero: Ruth Bader Ginsburg. Next big thing you want to accomplish: Win a National Magazine Award. Happy place: A private karaoke room. Favorite emoji: 💩 never stops being funny to me. Personal mantra: If it doesn’t move the needle, it’s not worth doing. Perfect day must contain: Chocolate.